Are You Wasting Time Applying to the Wrong Jobs? 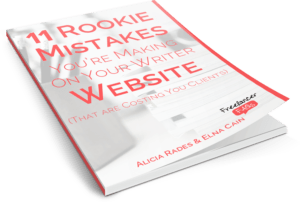 Whether you’re just getting started, or have been freelance writing for awhile, sometimes it’s hard to tell the difference between the real deal, and a scam. Something may seem like a great opportunity, but is really just an individual or company trying to find the best deal on freelance writing talent. But pitching takes time, and writing even more. With limited hours available in a day for making money, you have to take steps to protect your time. 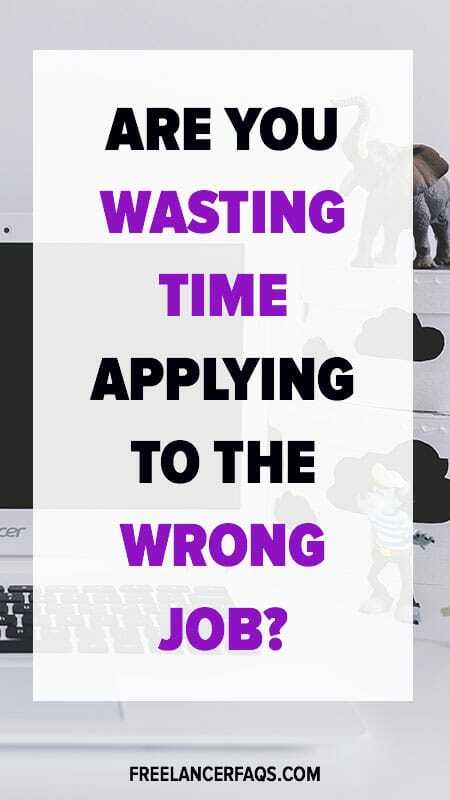 In an effort to answer the question, “Are you wasting time applying to the wrong jobs?,” here are some major red flags to look out for. Or, insert major crowdfunding website in Indiegogo’s place. Essentially, if someone needs to crowdsource money for their company, they definitely don’t have money to pay a freelance writer what they’re worth. The same could be said for an unfunded startup. If you believe in their product and see an opportunity down the road – go ahead, but tread carefully. If they offer no pay or an equity stake – run! As a writer, it’s always nice to have a following, but it shouldn’t be a requirement for getting paid. Blogs that pay per page view tend to take advantage of new freelance writer’s optimism. If the recruiting blog has a large social following (or newsletter subscriber base), and agrees to promote each of your articles, it could be a good situation. But if the burden of promotion falls completely on you, they’re likely just using you to grow their own following, and your writing abilities are a secondary consideration. Regardless, when you write, you’re providing a service that you deserve to receive set payment for. If there’s anything worse than pay per page view, it’s got to be this. In this case, the blog commissioning work is saying their platform is more valuable than your ability to pay the bills. If a blog has to call out this “exposure” opportunity, that means there probably isn’t one. It’s definitely a smart tactic for new (and established!) freelance writers to guest post on high authority blogs (like this one!). However, high authority blogs don’t usually need to sell people on writing for them. This sentiment is usually followed by some variation of, “But this role is unpaid as of right now.” Just like with Indiegogo campaigns and unfunded startups, unproven business opportunities are a complete risk for a writer to get involved with. Besides the possibility that you might invest a lot of time and effort and never get payment or recognition for your work, there’s also the possibility that your published work gets lost if the website shuts down. Overall, this “opportunity” is a lot of work for little chance at reward, and is best avoided! When a blog is looking for a “college student” or “new writer,” this generally translates to an unwillingness to pay for experience or expertise. These ads also tend to ask for general writing experience, not even bothering to list the topics they’re looking for, which would result in a more relevant pitch. In these situations, the outcome is unlikely to be worth the time spent applying, and guessing at what the client is really looking for. Focus on something more definitive and respectful of writing talent. Though most of these situations call out specific examples, sometimes a red flag takes the form of what a job ad doesn’t include. The best job ads lay out expectations in the form of pay rates, and the number of posts they want on a project or monthly basis. A job ad that doesn’t answer your basic questions about the opportunity is a red flag in and of itself. Ultimately, if freelance writers want better opportunities, we need to band together and collectively say “no” in the case of applying to the wrong jobs. If companies realize these tactics aren’t working out, they’ll have no choice but to pay more fair wages. Are you wasting time applying to the wrong jobs? Are you guilty of applying to a job you had suspicions wouldn’t work out? Learn from past mistakes and focus your efforts on better possibilities. Once you start applying to the right jobs, your efforts will pay off – literally! How Do I Move Up From Content Mills? Maddy Osman creates engaging content with SEO best practices for marketing thought leaders and agencies that have their hands full with clients and projects. Learn more about her process and experience on her website, The-Blogsmith and read her latest articles on Twitter: @MaddyOsman. If you’re new to freelance writing, sign up for updates on her upcoming course on personal branding for freelancers.